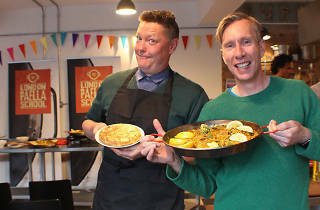 A paella teaching school that also runs supper clubs, where their pro chefs delight diners with paella innovations. 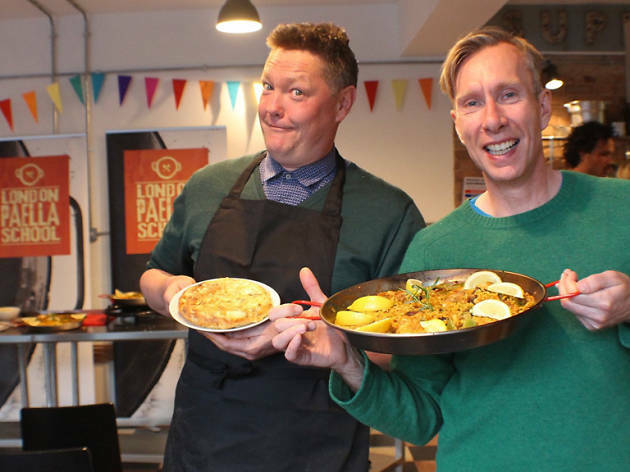 This is a great course to go on if you've never quite understood the intricacies and skills required to make a proper, authentic paella. Based out of the London Cooking Project in Battersea and run by Xavi, a Spaniard with all the passion and knowledge required to lead a class to delicious success. We were greeted with small tapas dishes and beers while we all got to know each other - there were 3 couples/pairs, and myself, alone - but that didn't matter. Everyone was super friendly and we were all there to learn, which is great! Xavi talked us through the process and the ingredients we were going to be using and then we got to work. It's a process which takes about an hour, and Xavi helps at every step, encouraging tasting and giving plenty of encouragement. Once your Paella is ready, we all got to sit down and enjoy the fruits of our labours together. It's a really fun way to spend an evening, and I've already made my fella a delicious Spanish supper with my new found skills!